Since 1988, Q Transmission Inc. has been the local-area expert on transmission services, from inspections and troubleshooting to repair and rebuilding. Whatever the problem with your transmission, we put in the work to solve it. Trust our nearly 30 years of experience when it comes to transmission solutions. Schedule an appointment with our team today. All of the work we perform is done in-house by our staff, meaning we’re the only ones handling your vehicle and we always remain accountable. 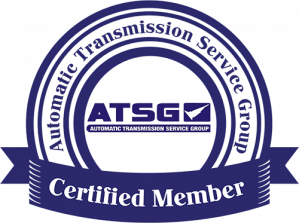 Our personnel are Automatic Transmission Service Group (ASTG) Certified and well-trained in all aspects of transmission repair. With more than two decades of professional experience, we’re knowledgeable in all transmission repair services. Our shop capabilities extend to most vehicles: foreign or domestic, no matter the make, year or model, automatic or manual. We’re your diagnosis experts and can process everything from different dash error lights and codes, to strange noises and vibrations. As soon as you notice vibrations in your steering wheel, sharp noises shifting gears or a pesky dash light that won’t seem to go away, it’s time to seek out a professional solution. And, when it comes to your transmission, Q Transmission Inc. has the answers and solutions you’re looking for. 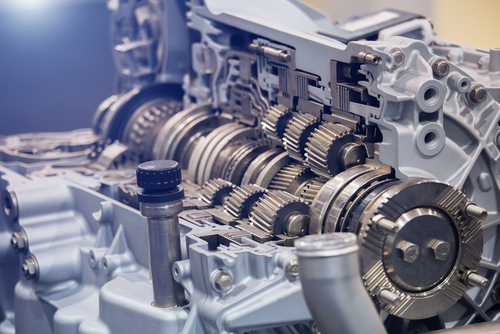 We’re the stalwart provider of transmission repair in Stewartville, MN, backed by an experienced team of professionals who take pride in the work they do. We service any transmission in any vehicle (under 2-tons), doing all work in our shop to ensure it’s done right. We guarantee great results and a transmission that works flawlessly once we’re done with it. From simple transfer case re-sealing to complete differential repair in Stewartville, MN, we’re equipped to tackle the job. Some shops offer new or replacement transmissions, under the guise of giving customers a better solution. The problem is, when people go to get a new transmission, they think a “new” means a brand-new model is put into their car or truck. It’s actually a refurbished one and not brand-new! We like putting in the work to provide complete transmission rebuilding in Stewartville, MN. This guarantees excellence for our customers at a lower cost, as well as better long-term performance from a stock OEM system that’s been thoroughly repaired to go the distance. Let us show you the value of working with true transmission experts! No matter what’s wrong with your transmission, our shop is ready to provide solutions. Contact us today to get a diagnosis or expert repairs that keep your transmission functioning flawlessly.